Paid traffic is useful, but by definition you have to pay for it—organic traffic is totally “natural” and free once set up. Organic traffic from the right keywords or key phrases is more likely to include members of your target audience, this means people that are genuinely interested in your services on your site. Organic traffic can lead to viral traffic, social shares, and word of mouth promotion of your online assets. One of the primary benefits of organic traffic is that after you’ve established a consistent influx of new visitors, it’s essentially a free source of traffic, new customers, and word of mouth advertising. Establishing organic traffic is what trips up most small to medium sized business owners, because to reap these rewards you have to out in a little bit of I it’ll effort. Organic traffic generally refers to the traffic that comes to your site through search engine queries. 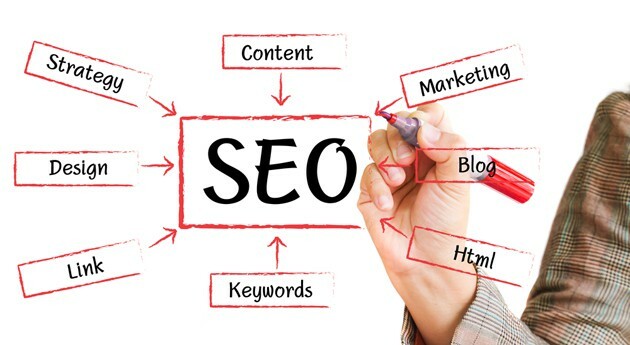 Search Engine Optimization is the only way to stand a chance against your competition, buy with our services, you can skyrocket your site to the top of the search engine results pages for key phrases important to your business. Once there, you’ll get organic traffic to your site. The more traffic you have from potential customers, the better – it often can result in a “snowball” effect, resulting in even more traffic, (and thus sales, new clients, and so on). This is because when you have more traffic, specifically organic traffic, you’re more likely to be engaging with the members of your target audience who are genuinely interested in your products or services. If you have great content on your site as well, you’ve just given them the perfect reason to share that content. Organic traffic can lead to content going viral on social media and social networking sites, allowing your message to be heard by potential customers who might not have heard of it otherwise. Organic traffic is an effective means of promoting your business, but in order to get it, your website must be optimized. When we optimize your website for SEO and thus organic traffic, we completely analyze every nook and cranny of your site. Did you know that even things like images have a major impact on your on-site SEO? They must be named with SEO-friendly titles, and they must be compressed without a loss of quality—so that they still look good—but also so that your website loads faster, since a big part of optimization also involves how quickly your website can be displayed to visitors. There’s a lot more intricacies involved, and we’re experts at all of them. If you’d like to learn more about how we can help you grow your business through the power of organic traffic, please feel free to contact us at your earliest convenience so that we can begin analyzing your website.